During the building of the Motor Parkway bridge west of Lakeville Road, a car fell into the construction area. Note the crane on the far right. 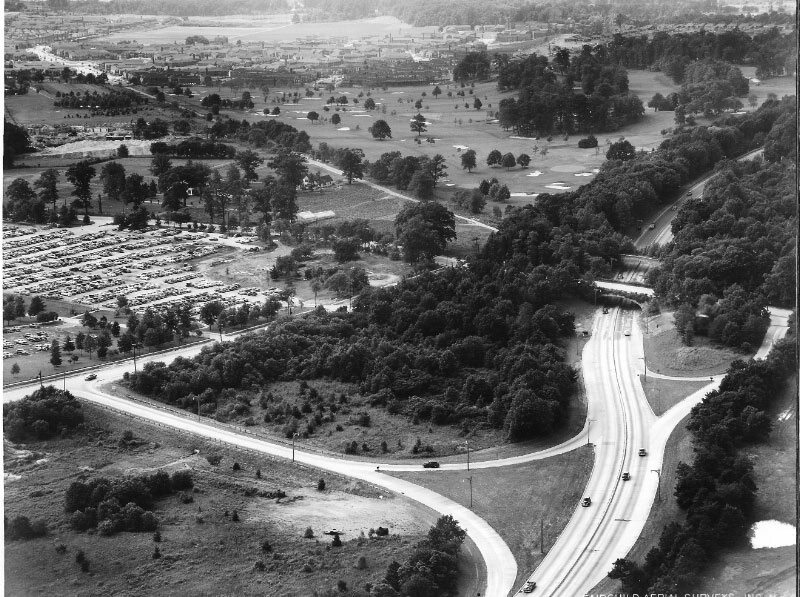 This 1934 aerial shows the view of the two parallel bridges looking north-west. 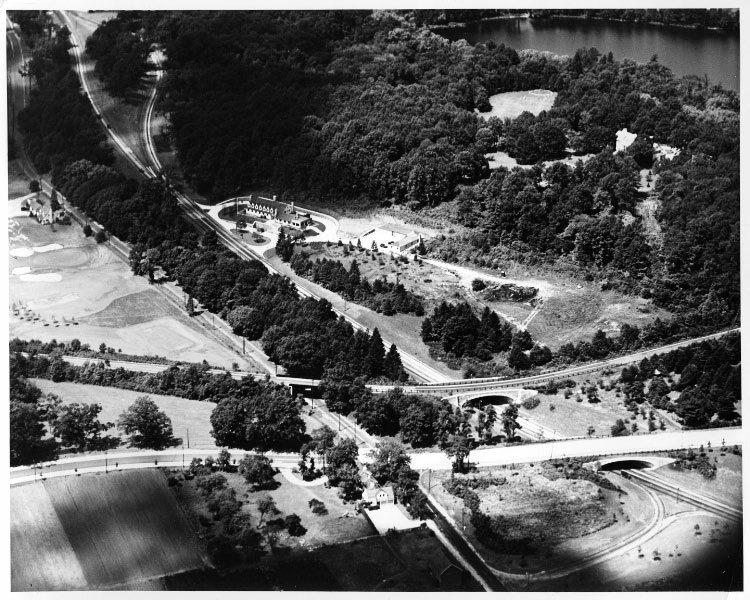 The State Police barracks (the former guest house for William K. Vanderbilt Jr.'s estate) can be seen in the middle of the aerial. The Marcus Avenue Motor Parkway Bridge is to the left of the Northern State Motor Parkway Bridge. 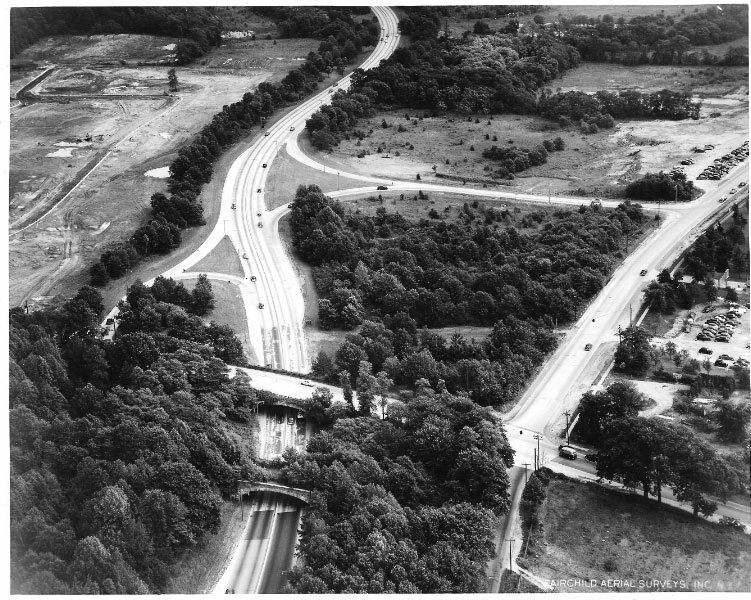 This spectacular 1952 aerial looking west shows the parallel bridges over Northern State Parkway (Lakeville Road in front of the Motor Parkway). Parking for the Sperry plant can be seen on the left. 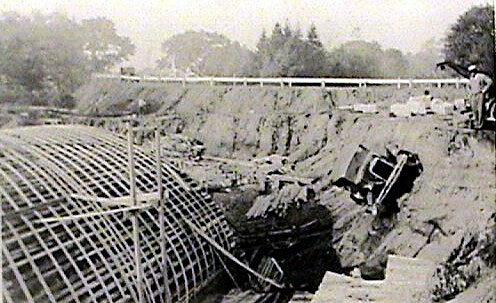 Behind the parking lot, the Long Island Jewish Hospital was being built on the site of the Schumacher Farm. 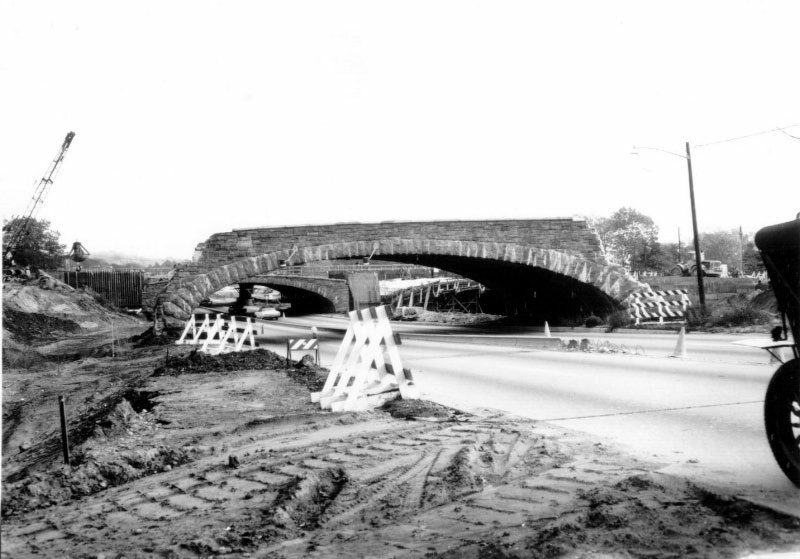 The September 29, 1954 Newsday article noted :"The bridge near Lakeville Rd. has two lanes, pock-marked with grass and trees that have forced their way up through the pavement that leads from private property on the north side into a wooded area near the Marcus Ave. exit of Grand Central Parkway." An undated aerial looking east. Note the trees growing on the Motor Parkway bridge. 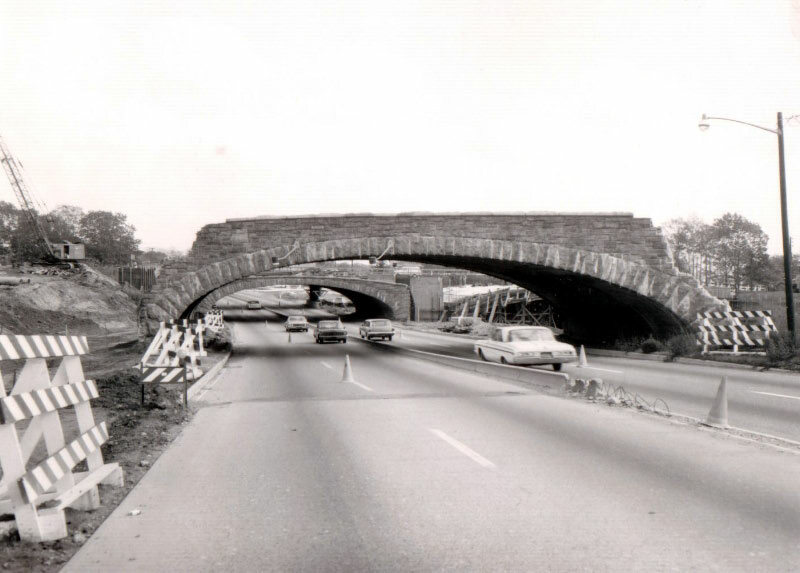 With the expansion of the Northern State Parkway, the bridge was finally taken down in the 1960s. I remember as a kid the old grand central/northern parkway. The bridge with the trees always made me wonder. Little did I know it was part of the Vanderbilt pkwy near where I lived in (now) Dix Hills. I’m in my late 50"s now. Little remains of the RFD (rural farm delivery) of my life as a child in one of the first small house developments of that area. I remember Vanderbilt Parkway east of Deer Park Ave RT231-(then a 2 lane road) as a road in the woods with lots of hills and turns, my father would drive the ‘63 Cadillac down fast would make my stomach fly. It was great!